First of all, we need to understand that this is not only about getting rid of those extra pounds we might have gained but it is about going back to routine with respect to schedules, exercising, and other healthy habits. Trays filled with Christmas sweets give their way to fruit plates and the long table talks after dinner can be replaced by a pleasant walk. It’s time to go back to having every single daily meal instead of skipping any of them to “compensate”, to recover water as the main drink and to bet on a low-calorie diet. White fish, and especially corvina, have a lean meat that gives us proteins of high biological value, vitamins and minerals. Corvina REX Frescamar is very digestive fish, its caloric content is very low (about 100 calories per 100 grams), it is antioxidant and very healthy, because it has no cholesterol and it is low in salt. Our tip: let’s have it with vegetables and/or legumes to make it ever lighter and beneficial for our bodies. 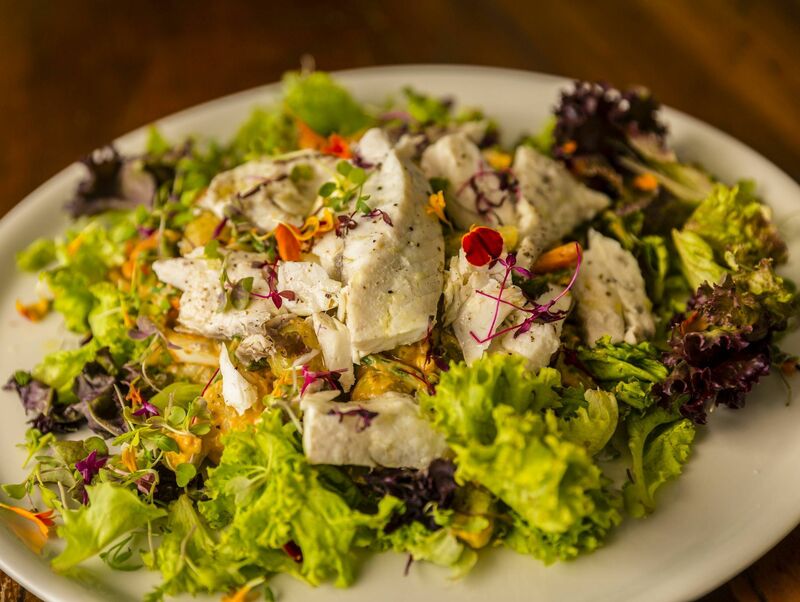 At the following recipe, we suggest a very appealing corvina salad, perfect for these days. Find more healthy recipes on our Web.